It feels like no matter where I look these days, the Instant Pot always makes an appearance. So, while throwing a frozen dinner in the microwave might seem easier, you can actually make a healthy meal in less than 30 minutes thanks to the Instant Pot . Also, it is quite small, too, so it barely takes up any kitchen space. So why not leave it out on your worktop to use every day and then try all these delicious Low-Carb Instant Pot Recipes. Pulled pork is one of those things that can be enjoyed almost anytime and anywhere. Enjoy it for lunch, dinner, in an omelet for breakfast, leftovers for the next day. It’s a go-to crowd pleaser too. When was the last time you turned down a great plate of pork? Never! 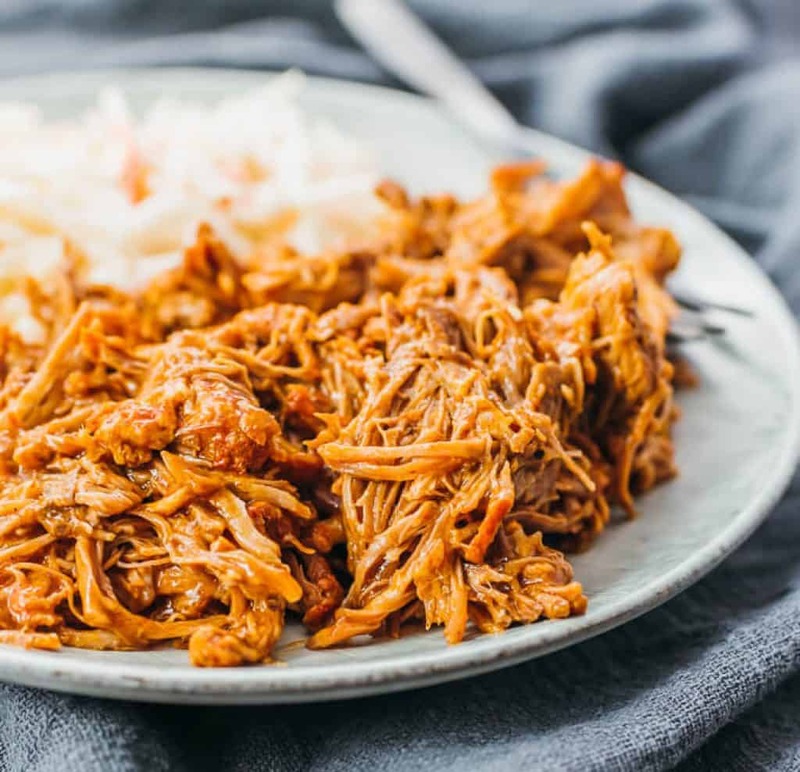 Run over to Savory Tooth to grab her Instant Pot Pulled Pork recipe. There, you will see how easy it is to just simply put the pork of your choice into the instant pot and wait an hour! Yes, ONE HOUR! Not three or four hours, but one! It’s so amazing you have to see it to believe it! Check it out HERE. Let’s face it when it comes to taco Tuesday your Keto diet is a broken traffic light. You know what you want to do, but you really aren’t sure how to proceed. 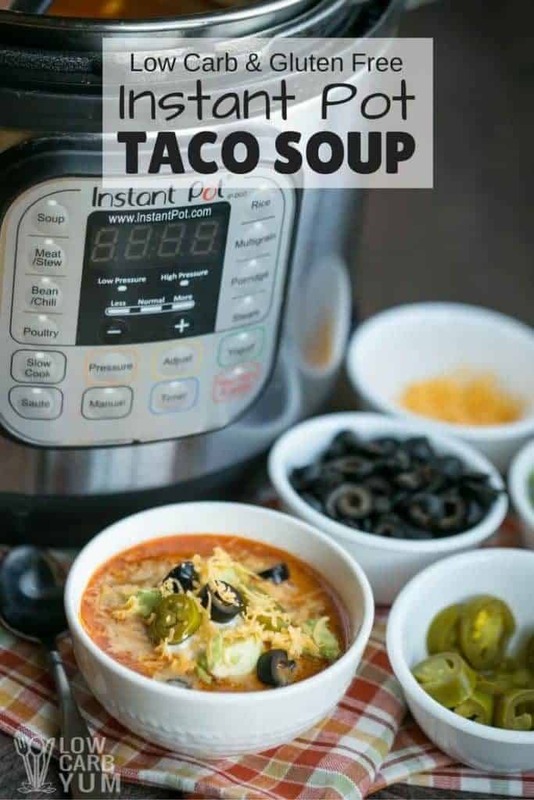 I have the solution — Low Carb Taco Soup with Cream Cheese! This soup is the perfect combination of taco flavor with the benefits of low carbs to stay within your diet guidelines. Low Carb Yum went into great detail on everything you will need to complete the soup. It will only take you fifteen minutes too! You can’t beat that! A complete meal in 15 minutes! Hurry over to grab this fabulous recipe HERE. Let’s say that you have friends coming over this weekend to hang out. It could be for a game on T.V. or just a few friends sitting and talking. Whatever the occasion, you can still maintain your diet without serving food that shouts “Yes I’m on a diet”. 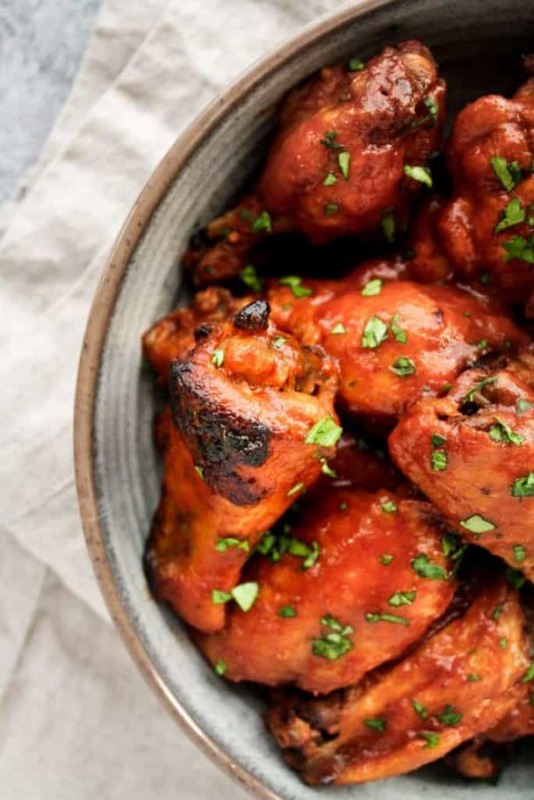 No one will think twice with this Instant Pot Low Carb Sweet and Spicy Barbecue Chicken Wings recipe. They are a guilt-free appetizer snack that tastes AMAZING! Visit Real Balanced to learn about her surprise ingredient — you’re never going to guess what it is!!! Hop over to find out HERE. There’s more! Check out the twenty-nine BEST Instant Pot Keto recipes below! Click on the links to grab ALL twenty-nine amazing Keto recipes! Don’t forget to let my friends know you found them at Jayandel! Do you have any favorite Keto Instant Pot recipes? Please share them in the comments section below! If you enjoyed these keto instant pot recipes, please share them on Pinterest! And if you’re looking for more delicious keto and low carb recipes, please follow our keto recipes board! Thanks for including me! What a great group of recipes to try! You’re most welcome!! Thank you.